The 29-year-old suspect in a deadly Toronto mass shooting struggled with mental health challenges, his family said Monday. On Monday evening, Ontario’s Special Investigations Unit (SIU) identified Hussain as the suspect in a shooting spree that left two dead and 13 injured. Hussain died at the scene. 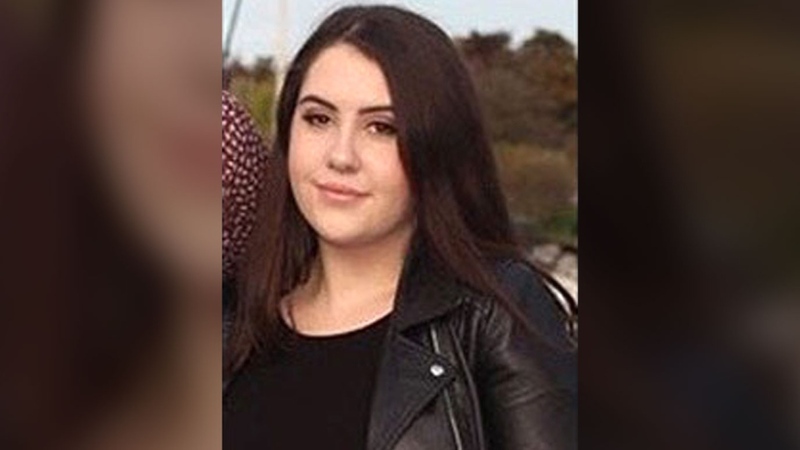 An 18-year-old recent high school graduate and a 10-year-old girl were killed when a gunman opened fire around 10 p.m. on Sunday in Toronto’s east-end Greektown neighbourhood. Thirteen others were injured. 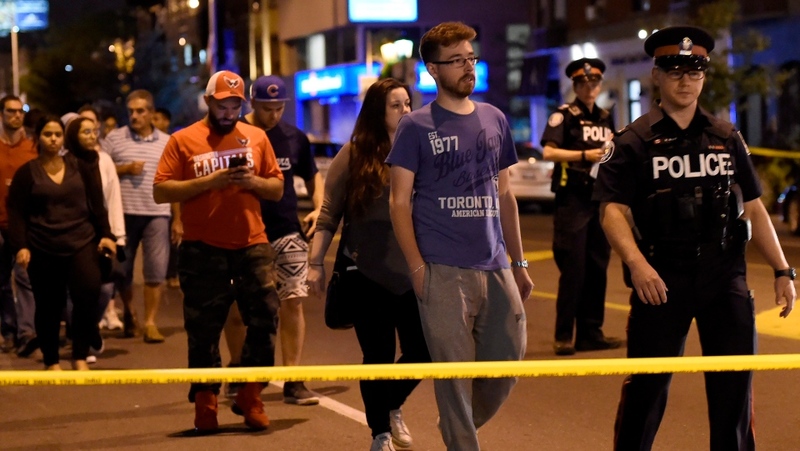 After shooting 15 people, Toronto police say the suspect exchanged gunfire with police before dying of a gunshot wound. “It was a very rapid and fluid event that unfolded very quickly,” Det. Sgt. Terry Browne, the lead investigator on the case, said Monday afternoon. 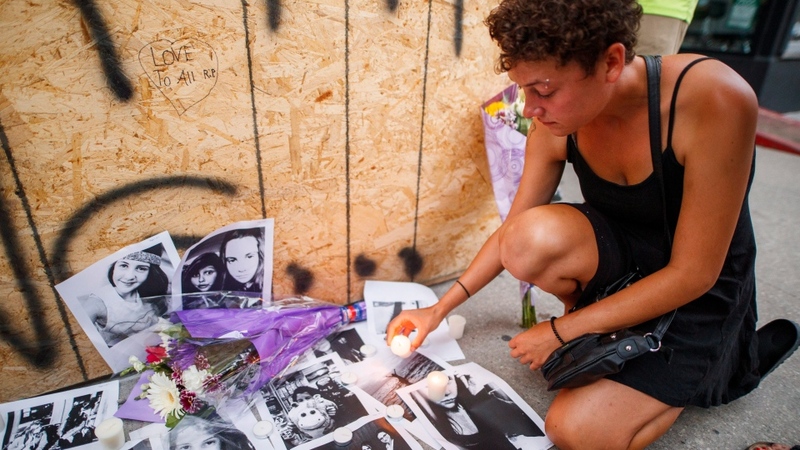 Reese Fallon of Toronto, an aspiring nurse, was identified on Monday as the 18-year-old victim. MP Nathaniel Erskine-Smith told local news station CP24 that the “devastated family” is asking for privacy. “This is a loss for all of us,” Erskine-Smith said. The name of the child that was killed has not been made public. Browne only said that the 10-year-old girl was from the Greater Toronto Area. Seven of the injured victims are male and six are female. Their ages range from 17 to 59. Toronto Police Chief Mark Saunders told reporters that police received a call shortly after 10 p.m. Sunday about a shooting near Danforth and Logan Avenues. Police caught up with the suspect on nearby Bowden Street. The SIU says shots were exchanged between him and two officers and the man ran back to Danforth, where he was found dead on a sidewalk. It is unclear if Hussain was killed by police or died from a self-inflicted gunshot. TheSIU is now looking into the exact circumstances of his death. Five injured victims were transported to St. Michael’s Hospital, acting medical director of trauma Dr. Najma Ahmed said. Three of them immediately received “life-saving” surgery, and all five were listed in serious or critical condition as of Monday. Shooting victims were also taken to Sunnybrook Hospital and The Hospital for Sick Children. Multiple witnesses told Toronto’s breaking news station CP24 that they heard anywhere between a dozen and 20 shots. CP24’s Cam Woolley, a former police officer, said he saw “about a dozen” shell casings in one location and noticed bullet holes in a nearby coffee shop. “We just ran. We saw people starting to run so we just ran,” he told The Canadian Press. Other witnesses described complete chaos as the suspect repeatedly fired a handgun. Some social media users posted videos online in which shots can be heard along Danforth Avenue. One brief, chilling video appeared to show the suspect firing his gun. Woolley said the video showed the man shooting “slowly and deliberately,” and that he appeared to be well-versed in firing and reloading his weapon. The man’s gun is now in the possession of investigators. Toronto Police Chief Mark Saunders said it’s too early to say what motivated the shooting. At separate news conferences on Monday, he told reporters that investigators are not ruling anything out and are looking at every possible motive. He encouraged any witnesses who had not yet spoken to police to come forward with any information, photos or videos they may have. Chris Lewis, CTV’s public safety analyst and a former commissioner of the OPP, said investigators would be looking into whether the man was working alone or had accomplices in planning or carrying out the shooting, what he may have been reading or talking about online, and how he obtained his gun. People will feel an urge to “put it in a bucket” by ascribing a motive such as terrorism or gang activity to the shooting, Lewis said, although the truth can often be more complicated. He pointed to last year’s shooting at a Las Vegas hotel which left 58 people dead and more than 800 others injured. “They, to this day, don’t know why he did it,” he said. On Monday, police could be seen at an apartment in Toronto's Thorncliffe Park neighbourhood that area residents said belongs to the Hussain family. Nearby, a man who described himself as a lifelong friend of Hussain’s described the alleged shooter as "polite, respectful, humble, quiet" and a person who "kept to himself, didn’t talk to a lot of people." "He seemed fine," Aamir Sukhera told CTV News. "I can’t put two and two together. I mean, I can’t believe it’s him." Toronto Mayor John Tory described the shooting as “an unspeakable act” and further evidence that stricter gun control regulations are needed in the city. Speaking to city councillors Monday morning, Tory said he and other authorities would be “relentless” in piecing together why the attack happened and whether it could have been prevented. “Our entire city has been shocked by this cowardly act of violence,” he said. Tory, who has previously called for gun law reform, said he plans to push the provincial and federal governments for action on the issue. “If we can prevent even one of these incidents, then it is a discussion worth having," he said. Danforth Avenue is a busy street known for its restaurants, cafes and shops. It often draws large crowds of people looking for dinner and nightlife. 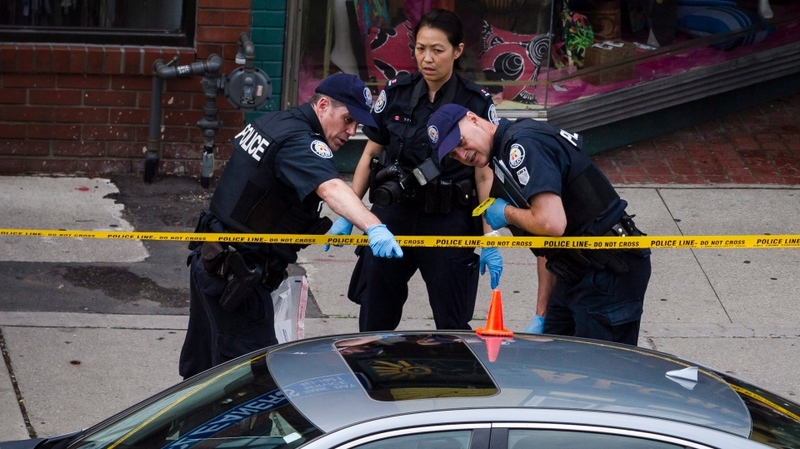 Lewis said there would not have been a significant police patrol presence on Danforth prior to the shooting, as officers would have been deployed to parts of the city where they are called more frequently. 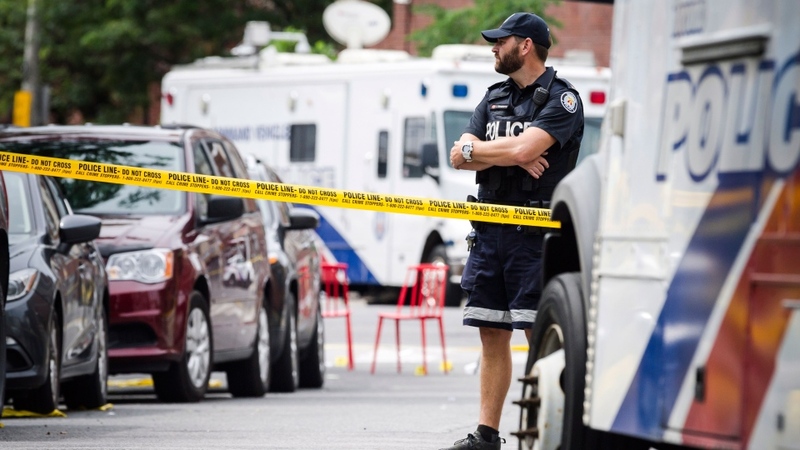 Howard Lichtman, a spokesperson for the Greektown on the Danforth BIA, told reporters Monday that he’d heard stories of restaurant workers rushing outside to find out what had happened and offer assistance. “As soon as the bullets stopped, they were there helping people,” he said. A moment of silence was held at Queen’s Park for the victims of the attack. Premier Doug Ford said Ontarians were left “in shock” by the shooting. Mary Fragedakis, the city councillor for Toronto-Danforth, took to Twitter to thank first responders. "Here on the Danforth tonight, my heart and prayers go out to the victims and their loved ones. Words cannot express my sadness over this despicable act. Thanks to all the first responders and medical teams," she wrote. Several online fundraising efforts have been set up to aid victims of the shooting, including a GoFundMe page that has already raised more than $7,000.